Some people have asked us to compare and contrast our Healthy Foundations Memory Foam Mattress with the new start-up foam mattress made by Casper. Our mattress is a top-rated memory foam mattress. The Casper mattress has some memory foam, but it actually what is commonly known as a “hybrid,” meaning it has one type of foam combined with another type of foam. In the case of Casper’s mattress, the top layer of the mattress is synthetic latex (as opposed to 100% all natural latex, which is more desirable) and the second layer is memory foam. Before buying bedding, we suggest measuring your mattress to make sure you’re getting the correct size. 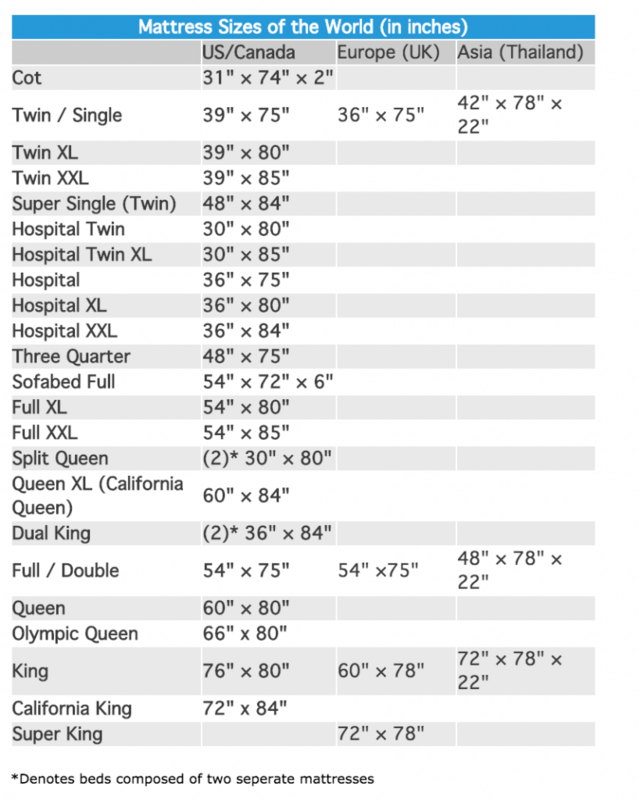 Below is a mattress size chart with the most common sizes of beds on the market. If you are looking for a memory foam mattress, it is likely that you are doing your homework, learning about memory foam, shopping for quality memory foam, and even price shopping. While you are doing that, you may be briefly thinking about the foundation for your memory foam mattress. 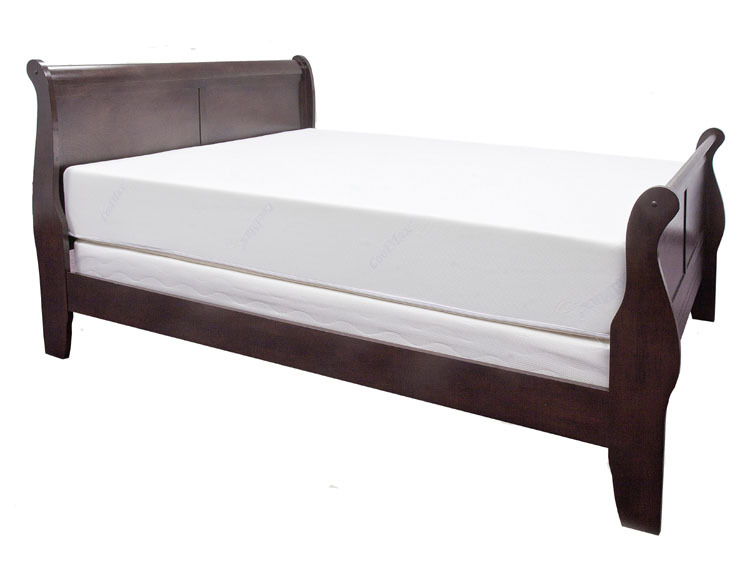 What used to be called a “box spring” is now a foundation. It is the base that your mattress sits on. Box springs, which actually have springs in them, have been replaced with what is now known as a “foundation.” Foundations are generally made of wood and fabric and give a firm, supportive foundation for the memory foam mattress.